Superfood bowls might have gained social media attention thanks to their colorful, aesthetically pleasing allure, but there's more to this food trend than good looks. 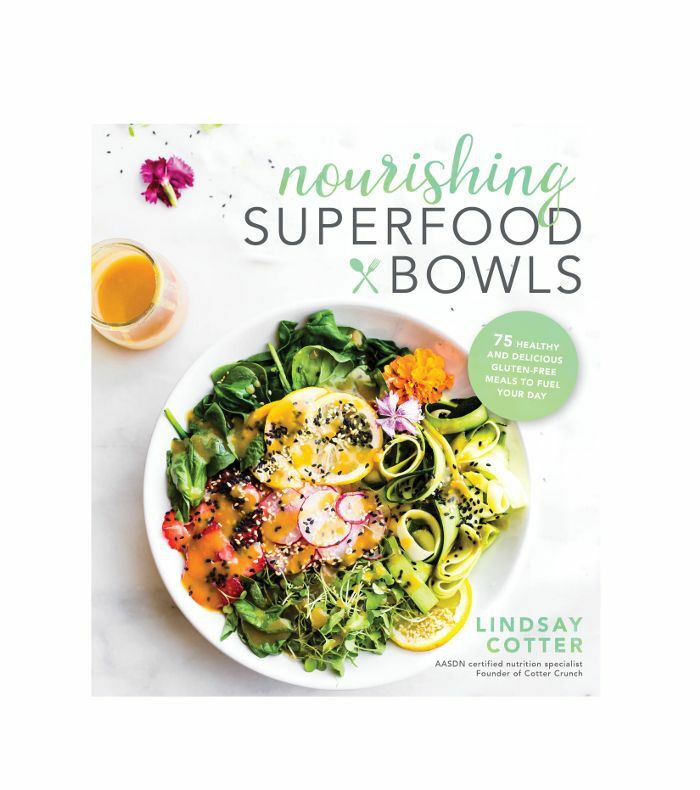 Nutritionist and Nourishing Superfood Bowls author Lindsay Cotter says they're also a great way to add fresh fruit and vegetables to your diet. "These bowls are a way for me to share the best synergy superfood recipes all in one pretty, round serving. They are easy to prep, easy to eat, easy to clean up, and very portable," she explains, noting they're a popular mainstay on her food blog, Cotter Crunch. "Basically, [they're] bowls full of key fuel and nourishment for us everyday folks." Bid goodbye to tired winter soups and whip up one of these colorful, nutritious options instead. In a large serving bowl or 4 separate bowls, arrange the leafy greens, and top with the green cabbage. Add the lentils, followed by the tomatoes, raisins, olives, and yogurt cheese. Place a steam basket in a medium pot and add an inch (2.5 cm) of water. Place the spinach in the steamer, cover, bring to a boil, and lightly steam the spinach leaves for 3 to 4 minutes. Another quick steam option is to place the spinach in the microwave for 30 to 45 seconds on high. In 2 serving bowls, arrange the steamed spinach, zucchini, broccoli sprouts, radishes, and strawberries. To make the dressing, whisk together the white miso paste, sesame oil, mustard, agave, rice vinegar and lemon juice. Drizzle 1 to 2 tablespoons (15 to 30 ml) of the dressing on top of each bowl. Save the extra dressing for later use. It keeps in the fridge for up to 5 days. In a large bowl, place the chopped Brussels sprouts and the cooked quinoa. Toss them together. Looking for more healthy recipes? Try Athena Calderone's protein-packed spring frittata.